The Slovak lifestyle monthly for women was awarded the Zlata pečať (Golden Seal) in 2003, 2005 and 2007 and three times judged the best magazine of the year. The magazine includes a regular section intended for men, Gentle&Man. 20,000 copies of the magazine are published ten times a year, with July-August and December-January bimonthly. Price of copy: 1 euro (30.126 SKK), number of pages: 132. Paper inside the magazine 100 g chalk, cover page 250g laminate. Price of subscription: 10 euro (300 SKK)/year. The magazine is always published during the first week of the given month according to the enclosed schedule. Starting from 2008, we are using the new large format 220 x 285 mm, including a high V2 quality binding. Target group: Ambitious women purchase or subscribe to Beauty&Woman, women with high expectations, living a full life, traveling, actively participating in design of their own housing, women-mothers, satisfying in co-operation with partner all family needs. They are interested in new fashion trends and cosmetics, culture, sport, visit cosmetic studios, wellness and fitness centers; they care for themselves, for their health, drinking regime, family, holidays and harmony in life. They need perfect review of products for shopping in order to make fast and correct decisions. They are interested above all in well-known and high quality brands. Most have a university degree or higher education, with prevailing intellectuals. Men, reading or purchasing Beauty&Woman Magazine and the section Gentle&Man have identical or similar lifestyle. The following is some basic information from the survey of Beauty&Woman that featured 500 respondents. Question: "How frequently do you read Beauty&Woman Magazine?" Around 70 % of readers answered that they read every issue. As many as 28 % of readers come from the age bracket 21-25 years, up to 20 % 46-50 years and the third largest group - 17 % are readers 26-30 years. The strongest age group of 21-30 years represents approximately 37 % of our readers. You will have noticed that for a long time our Magazine was divided into sections. The most attractive section for 47 % of readers is cosmetics. When a family from the Beauty&Woman readers´ background travels for a holiday, as many as 42 % travel to sea. Within this category we have also housing (approx. 40 %), where women actively influence the decisions on quality and style of housing, furnishing or traveling, and dominate the family character. Events. Beauty&Woman Magazine is distributed also during important events, for instance, at least during 30 golf tournaments organized by Juturn, Aurum and Freixenet and other companies. As well as during the fashion shows of Lýdia Eckhardt and other fashion designers, the annual series of Miss Aerobics, cultural events and other social events like, for example, Krištáľové krídlo (Crystal Wing), which awards the greatest personalities of Slovakia. Visitors to popular restaurants - Leberfinger, Au Café, Parcafé and Kriváň - can regularly read the magazine as well as clients of MB Taxi, a large Bratislava taxi company. Copies of the magazine are also distributed within hotel networks. As well we participate in many fairs and exhibitions in the Slovak and Czech Republics, concentrating on cosmetics and fashion. Beauty&Woman Magazine co-operates with Fun Radio. During the entire year the Magazine uses several billboards throughout Bratislava. Via magazines we co-operate with the TV Markíza program Teleráno. Eastern and Western Slovakia during 2008 was supported by advertisements on 80 public transport vehicles and on 20 rear windows of SAD lines (Slovak Bus Transport) in Košice and in Western Slovakia and Bratislava. In the summer we started, together with Procter & Gamble, a large project - the face of the cover page of Beauty&Woman, evaluated in November 2008, with one of our readers on the cover page. This Project was supported by several hundreds of spots on TV Markíza programs with the highest rating, on popular radio shows, on billboards, mega-boards, city-lights and so on. Starting from October 2008, Beauty&Woman and LIEK (for your health) Magazines, via Media House, are distributed to 500 restaurants in Bratislava and elsewhere in Slovakia, in cafés and hotels, beauty studios and fitness and sport facilities. To conclude, one interesting calculation: From the above mentioned up to 500 respondents indicated that they purchased or subscribed Beauty&Woman Magazine and that are not the only ones to read it. As the topics are attractive for women and related to cosmetics, fashion, health, traveling, housing or culture, they forward the magazine to colleagues and they discuss many articles. According to them, on average one copy is read by 4-5 women. In relation to all these activities and sales of the Beauty&Woman, the Magazine has at least 100,000 regular readers. 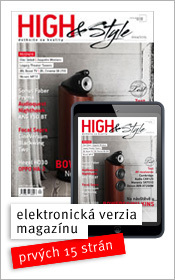 Recently, a well- known cosmetics and pharmaceutical company subscribed Beauty&Woman and LIEK Magazines for managers of approximately 300 Slovak pharmacies. LIEK, magazine for healthy lifestyle, is for the second year on the market and posted increased readership. Number of copies: 20,000 is currently insufficient. The magazine is mainly subscribed by pharmacies in large numbers. Currently at least 1,000 copies are distributed directly to pharmacies in Slovakia for their own needs and the needs of their clients. We sell the magazine, despite the high quality of printing and graphic, for a very reasonably low price - only 0.6 euro(18.07 SKK).